I read the absolutely amazing A Monster Calls a few short weeks ago. Within a day of reading it, I had already gone back to it, reading it again and again. I have bestowed upon the book all manner of flattery; I will continue to sing its praises for years to come. Luckily, I can now do more - I can now hand my own copy to read. 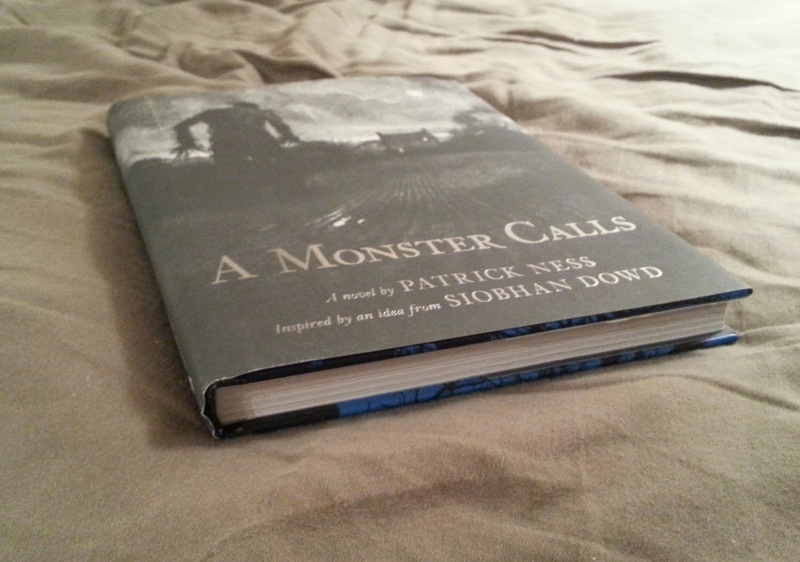 Having read A Monster Calls in eBook format, as checked out from my local library, I proceeded to purchase the original hardcover. It was, without a doubt, the right decision. Flipping through this elegant little book revealed to me gems I had been entirely unaware of. 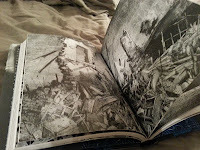 Not only did the full-spread black and white images look significantly better when printed on glossy pages, it turned out that many other pages have elaborately drawn borders and images that twist around the text. The effect is altogether impressive, and adds a lot to the general mood of this very special story. It goes to show: images matter. A Monster Calls was a beautiful book with just its words going for it. It is, somehow, an even more beautiful book when presented in its natural form, with the haunting, somewhat bewildering, enchanting artwork by Jim Kay. The glossy paper, the rough paper dust cover, the beautiful design of the hardcover itself... 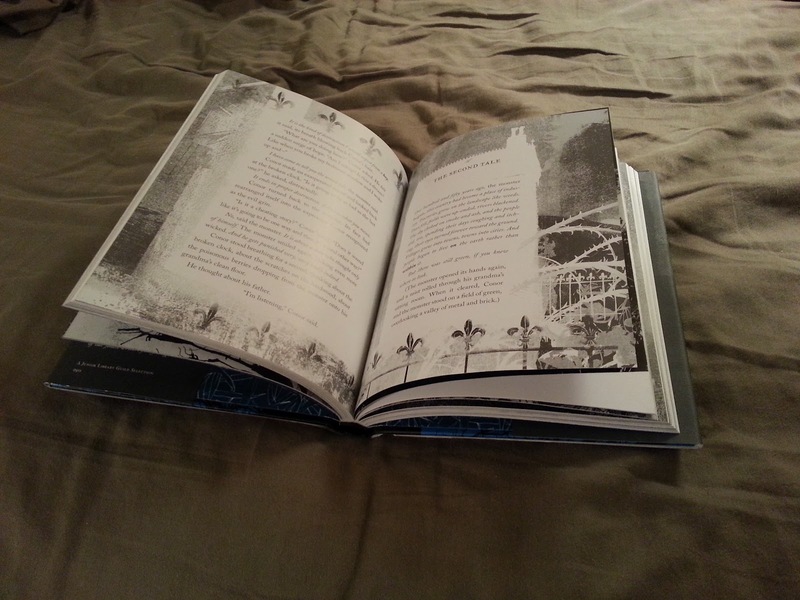 These do not change the powerful story within the book's pages. But they certainly change the reading experience, and for that I am once again deeply in awe of this book.